Teaching Laboratory Building, 6th floor, room 606. Phone No. +370 37 327147, local phone No. 5776. In 1990, a Department of nurses with higher education was established at the Faculty of Medicine of Kaunas Medical Academy. With the enhancement of the studies of nursing and in accordance with the regulations and requirements of the University, the Department of Nursing and Care was established in 1994. The Department is the first department of such profile to be established in Lithuania. Prof. A. Šeškevičius was the first Head of the Department. The graduates of the Department of Nursing Audra Adomavičiūtė, Rasa Lipovskienė, Birutė Baliulevičiūtė and Vilma Emužienė were invited to work as first assistants at the Department. Priest Ričardas Repšys and assistant Laima Sajienė from Vytautas Magnus University and administrator for studies Kristina Jonaitienė also joined the Department staff. In 2008, prof. A. Blaževičienė was voted in as the Head of the Department of Nursing and Care. The majority of teaching staff at the Department of Nursing and Care are nurses, graduates of the Department of Nursing of Kaunas Medical Academy with MAs in clinical nursing, management or public health management, administration and PhDs in biomedical sciences with specialisation in nursing: prof. O. Riklikienė, associate prof. L. Spirgienė, lecturers PhD. D. Kriukelytė, PhD J. Gulbinienė, PhD A. Vaškelytė, and assistants A. Lekauskaitė, J. Demskytė, and V. Bulikaitė. Lecturer dr. Viktorija Grigaliūnienė is a certified European clinical health psychologist. In 1999, Master studies in Clinical Nursing were established, and admission to doctoral studies in the field of nursing was initiated in the same year. In 2003, the first students were admitted to part-time extramural studies in nursing. In 2010, a new bachelor-degree programme “Midwifery” was introduced. In 2013, the first students were admitted to the full-time extramural first-cycle study programme “Midwifery”. First cycle programmes “Nursing” and “Midwifery” meet the requirements of the EU Directive 2013/55/ES, and international experts have been accredited for a maximum period - 6 years. In 2015, for the first time in Lithuania, the Department of Nursing and Care started the preparation of the second-cycle Master studies “Advanced Nursing Practice” that have three specialisations. In 2017 the second-cycle program “Leadership in Nursing” was established in line with the recommendations of WHO and the International Council of Nurses. The mission of the Department of Nursing and Care is to educate and train highly qualified nurses and midwives who would become leaders in healthcare and would participate in the formation of the strategy of health policy, and also to develop the qualification of practicing specialists in nursing. To ensure the implementation of the Nursing and Midwifery study programmes in accordance with the requirements of the Directive of the European Union. To integrate the Nursing and Midwifery study programmes and scientific research. Use information technologies and effective teaching techniques to educate and train highly qualified nurses and midwives who would be capable of adapting in the rapidly changing labour market. phone No. +370 37 – 327147, local phone No. 5776, LSMU Teaching Laboratory Building, 6th floor, room 606. Administrator for studies: Regina Markauskienė – regina.markauskiene@lsmuni.lt, phone No. +370 37 – 327196, local phone No. 5774, LSMU Teaching Laboratory Building, 6th floor, room 602. Administrator: Sandra Zviagincevienė – sandra.zviaginceviene@lsmuni.lt, phone No. +370 37 – 327196, local phone No. 5774, LSMU Teaching Laboratory Building, 6th floor, room 602. Technician Lina Kiburienė – lina.kiburiene@lsmuni.lt, phone No. +370 – 200070, Kaunas Clinical Hospital (Laisvės al. 17), 3th floor, room 301. Prof. PhD Olga Riklikienė – olga.riklikiene@lsmuni.lt, phone No. +370 37 – 787382, local phone No. 5777, LSMU Teaching Laboratory Building, 6th floor, room 607. Lecturer PhD Viktorija Grigaliūnienė – viktorija.grigaliuniene@lsmuni.lt, phone No. +370 37 787328, local phone No. 5779, LSMU Teaching Laboratory Building, 6th floor, room 609. Lecturer PhD Daiva Kriukelytė – daiva.kriukelyte@lsmuni.lt, phone No. +370 37 327310, local phone No. 5781, LSMU Teaching Laboratory Building, 6th floor, room 637. Lecturer PhD Jurgita Gulbinienė – jurgita.gulbiniene@lsmuni.lt phone No. +370 37 327235, local phone No. 5775, LSMU Teaching Laboratory Building, 6th floor, room 605. Lecturer PhD Alina Vaškelytė – alina.vaskelyte@lsmuni.lt, phone No. +370 37 787328, local phone No. 5779, LSMU Teaching Laboratory Building, 6th floor, room 609. Assoc. Prof. PhD Lina Spirgienė – lina.spirgiene@lsmuni.lt, phone No. +370 37 327253, local phone No. 5778, LSMU Teaching Laboratory Building, 6th floor, room 608. Assistant teacher Aušra Lekauskaitė – ausra.lekauskaite@lsmuni.lt , phone No. +370 37 327253, local phone No. 5778, LSMU Teaching Laboratory Building, 6th floor, room 608. Assistant teacher Jovita Demskytė – jovita.demskyte@lsmuni.lt, phone No. +370 37 327310, local phone No. 5781, LSMU Teaching Laboratory Building, 6th floor, room 637. Assistant teacher Virginija Bulikaitė – virginija.bulikaite@lsmuni.lt, phone No. +370 37 327235, local phone No. 5775, LSMU Teaching Laboratory Building, 6th floor, room 605. Lecturer PhD Aurika Vanckavičienė - aurika.vanckaviciene@kaunoklinikos.lt, phone No. +370 37 327253, local phone No. 5778, LSMU Teaching Laboratory Building, 6th floor, room 608. Lecturer PhD Daiva Zagurskienė - daiva.zagurskiene@kaunoklinikos.lt, phone No. – +370 37 787382, local phone No. 5777 LSMU Teaching Laboratory Building, 6th floor, room 607. The staff of the Department of Nursing and Care includes 2 professor, 1 associate professors, 6 lecturers, as well as assistant teachers and doctoral students. Currently, there are 4 doctoral students at the Department. The employees of the Department are also experts in various fields. For instance, prof. O. Riklikienė is a TAIEX expert evaluating nursing study programmes in other countries. Assoc. 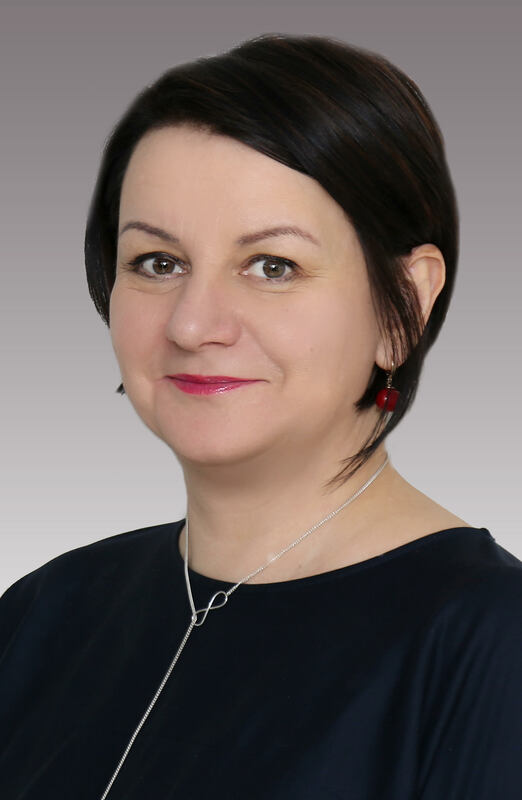 prof. dr. A. Blaževičienė is a WHO expert evaluating nursing and midwifery study programmes of other countries, Fulbright alumni, Sigma Theta Tau International (STTI), the Honorary Member of the Society of Nursing and a member of various working groups at the Ministry of Health of the Republic of Lithuania. She is also one of the heads of the centre cooperating with WHO. Certified European clinical health psychologist dr. Viktorija Grigaliūnienė is a board member and expert of the Lithuanian Healthy Lifestyle and Natural (Alternative and Complementary) Medicine Chamber who provides suggestions to the Ministry of Health of the Republic of Lithuania on how to integrate healthy living and natural medicine principles and methods into healthcare and clinical practice. She is also a founding member and board member of the Cynology and Educational Competence Centre of the Lithuanian University of Health Sciences (LSMU). The first-cycle study programme “Nursing” is a full-time study programme for individuals with secondary education. These studies are also organised extramurally, and this type of studies may be selected by individuals with higher non-university education and the professional qualification of a general practice nurse. The scope of the study programme “Nursing” is 240 ECTS credits. Upon completion of the studies, graduates receive a university-level Bachelor’s degree in nursing and the professional qualification of a general practice nurse. The first-cycle study programme “Midwifery” is a full-time study programme for individuals with secondary education level. These studies are also organised extramurally, and this type of studies may be selected by individuals with higher non-university education and the professional qualification of a midwife. The scope of the study programme “Midwifery” is 240 ECTS credits. Upon completion of the studies, graduates receive a university-level Bachelor’s degree in nursing and the professional qualification of a midwife. „Leadership in Nursing“ programme lasts 2.5years. The programme aims to prepare nurses with a Master’s degree whose professional and scientific performance would be based on the most recent scientific knowledge and findings, on good understanding of healthcare policies, on efficient coordination of the provision of nursing and midwifery services, on foresight of alternative decisions and preparation for leadership, academic and scientific work. This study programme has been prepared in accordance with the strategic WHO document, “Strategic directions of the consolidation of the role of nurses and midwifes in Europe”. One of the priorities of the document is to improve leadership and participation-based management to benefit health. The main enabling mechanisms are regulations of becoming leaders in nursing and midwifery, scientific research, partnership, management and leadership. In 2015, Master studies “Advanced Nursing Practice” were introduced. The duration of the studies is 2 years. The aim of the Master study programme“Advanced Nursing Practice” is to educate and train competent extended practice nurses who would have the most recent knowledge and practical skills, would be capable of thinking critically, would ground their practice on the formed system of professional and personal values, would be able to apply research-based decisions in extended nursing practice, would be capable of working independently in various health care institutions, and would be able to be a leader in a changing multidisciplinary environment, effectively solving problems arising in the healthcare system. Individuals with a Master’s degree willing to start their careers as scientists may opt for doctoral studies in nursing. The duration of doctoral studies is 4 years. After the defence of the doctoral dissertation, the graduates receive a Doctor’s degree in the area of biomedicine in the field of nursing. The research carried out at the Department focuses on the issues of patients’ and nurses’ quality of life, computer literacy of the nurses, and the evaluation of the effectiveness of nursing. Since 2016, the Department represents Lithuania at COST-funded project ‘RATIONING – MISSED CARE: An international and multidimensional problem’ as one among 28 countries (EU and International) (http://www.cost.eu/COST_Actions/ca/CA15208). Since October 2017 the scientific project funded by the Lithuanian Board of Science ‘Spirituality in nursing: spiritual wellbeing and spiritual needs of cancer patients - a mixed methods research“ is carried on in the department (principal investigators – prof. Olga Riklikienė). In 2017 the Department of Nursing and Care of the Lithuanian University of Health Sciences, in cooperation with Family clinic, is carrying out a project initiated by the Lithuanian Board of Science “Integral Care of Senior Citizens with Mental Disabilities: Establishing a Model for Intersectoral Cooperation” (i-PSINERA). The Department of Nursing and Care participates in the activities of multidisciplinary networks such as Rosa Linea, Nordman, Trollnet, and Nordinnett financed by the Nord Plus programmes. The Department of Nursing and Care has 18 Erasmus/Socrates exchange agreements with various universities across Europe. Each year professors from other countries (Finland, UK, and USA) visit or work at the department and teach students and provide training for the staff.